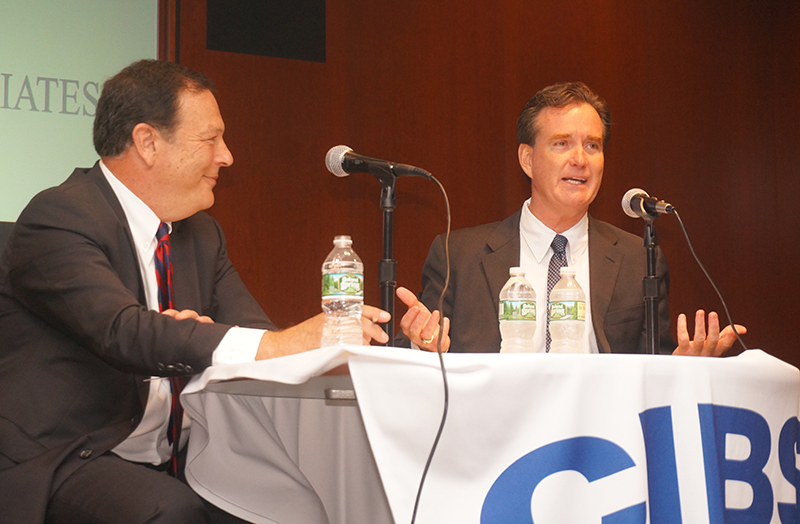 Pictured above are: CIBS strategic officer David Pennetta, SIOR, and state senate majority leader John Flanagan. Melville, NY New York State senate majority leader John Flanagan (R-East Northport) discussed the impact Albany is having on Long Island. He spoke during an on-stage dialogue with CIBS strategic officer and board member David Pennetta, SIOR, at 58 S. Service Rd. Among other things, Flanagan told the CIBS gathering that the 2% cap on property tax increases has worked. “It’s saved multi, multi billions of dollar for taxpayers. We’re in a better position because of it.” He said a similar tax should be put into place for the City of New York. 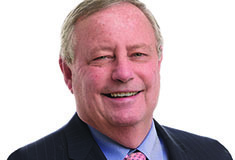 CIBS was formed in 1992 out of the shared belief among the region’s leading brokers that the region needed a unified voice to advocate on behalf of professionalism, ethics and industry cohesion. Today, CIBS is a leading voice and advocate for commercial development in the Long Island market. Since its formation, CIBS has helped upgrade the industry by offering hundreds of educational programs, seminars and presentations; advocated professional standards and offered grievance resolution; provided informal mentoring relationships; raised tens of thousands of dollars for local charities; and created social settings in which colleagues have become friends, and competitors respected peers.